Selected water binder prebatched for 110 Kg/m³ - perfectly spherical virgin expanded polystyrene beads with high thermal insulation power (2 mm Ø), mixed with special E.I.A. additive which allows a perfect mix, excellent pumping and homogeneous distribution of the beads in the mix - special additives. 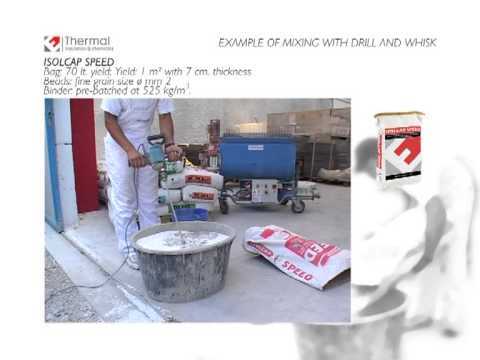 Thermal insulating fluid base screed, also applicable to variable thickness on horizontal, inclined surface and interspaces. ■ Dry density: 110 kg/m3. ■ Can be mixed with mixer type “Turbomalt” or similar.